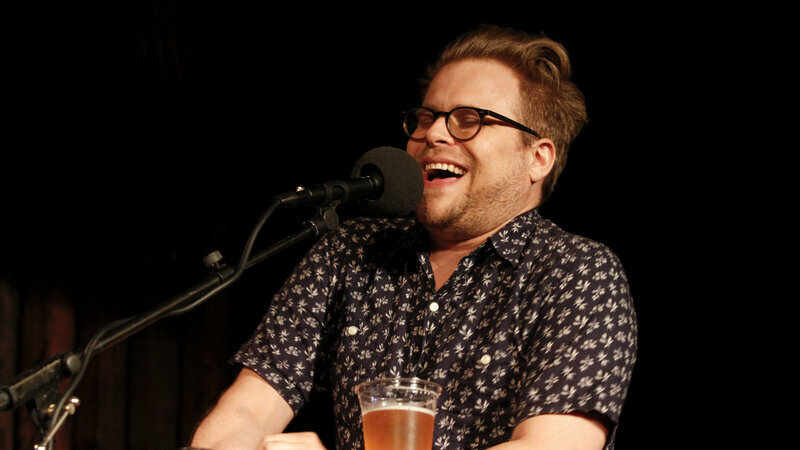 Home Celebrities Adam Conover Age, Sister, Girlfriend, Wife, Bio, Height, Is He Gay? Adam Conover is a young and talented writer. He is also a TV host, actor, producer, and an American comedian. He has performed at different shows most especially: Sketchfest in San Francisco, Bridgetown Comedy Festival, and schools. More than just that, he has become popular as the creator and host of a college humor series “Adam Ruins Everything” which shows for half an hour on TruTv. Adam is also a voice actor and has acted different characters in BoJack Horseman Netflix series; A Ryan Seacrest – Type, Bradley Hitler-Smith and also Paparazzi Birds. Born on March 2, 1983, Adam Conover is the son of a botanist Margaret Conover and a marine biologist, David O. Conover. He was born in Smithtown, New York and was brought up alongside a younger sister Emily who is a science columnist and a Ph.D. holder in particle physics. He has jocularly referred to himself as the only guy without any Ph.D. in his family. Conover spent his formative years at Wading River where he attended high school at Shoreham-Wading River. It was in this high school that he got interested in performing arts. He further went to Bard College where he graduated with a Philosophy degree. He was also a member of the sketch comedy group Olde English. The experiences he garnered here will later serve as a springboard for his career launch into comedy. Adam began work as a writer in sketch comedy in 2012. He wrote for the College Humor on their website and YouTube channel where he created the web series that later became the TruTv series “Adam ruins everything.” The show tries to dispel myths and reveal the truth about everyday goods and services. On the show, Adam Conover also debunks rumors, advertisements and undeniable facts that are mostly overlooked by people. He tries to give his viewers something positive to learn from each episode. The show became popular and has been renewed for 3 seasons now on TruTv. The comedian said in an interview that the personae he portrays on the show are a comic reflection of the person who he worries he is. He claimed that he tries to tell someone something he learned while having a conversation and the person becomes angry at him. He was invited to talk at a marketing conference in March 2016 where he argued amongst other things that the millennials don’t exist. Meanwhile, he is the latest celebrity to become an Innocence Ambassador. The Innocence Project is affiliated to Cardozo School of Law and the organization’s main goal is putting an end to wrongful convictions. Adam has a personal website where he promotes his recent shows, projects, and appearances. He currently resides in Los Angeles. 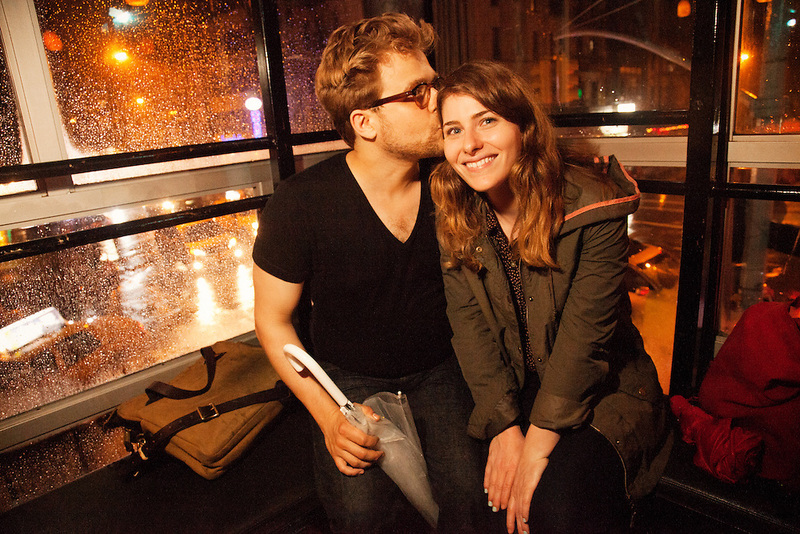 As aforementioned, Adam Conover has a sister, Emily Conover who has a Ph.D. in Physics from the University of Chicago. She is a science journalist who reports everything physics at Science News. Emily started her science writing career when she got a fellowship (AAAS Mass Media) at the Milwaukee Journal Sentinel. She has previously written for the American Physical Society and Science Magazine. As regards his sexual orientation, Adam has not said anything about that. However, he has been in a very long relationship with his girlfriend, Lisa Hanawalt, for about 10 years now. His relationship status in those years has never changed to “single”, and he has always said that he feels “gay” in his loving relationship with Lisa; probably not the other type of gay. The amazing couple has been dating since 2009, although there is not much information about how they met. Lisa is a podcast co-host, production designer, illustrator, and cartoonist. Born and raised in Palo Alto, California in the United States, she is the producer and production designer of the “BoJack Horseman” animated series on Netflix. She also works with comedian Emily Heller on the “Baby Geniuses” podcast. Adam and his girlfriend have a YouTube channel which has videos of them playing video games together although the channel has been inactive for a while. He has described his long term relationship with Lisa as being “very joyful” to him, and they are very much in love, and scandal-free. Adam Conover is a blue-eyed blond who has a body weight of about 78 Kilograms (172 lbs) which complements his height of 5 feet and 7 inches tall (175 cm).